Managing your own small business is already hectic enough without dealing with all the invoicing. As the business grows, the invoicing demands only becomes bigger. Don’t spend all your valuable time handling the invoicing. Instead, streamline the whole process with a lifetime subscription to Invoice Quickly Pro! InvSimplify your invoicing processGet Invoice Quickly Pro for your small business today. A lifetime subscription for just a one time cost of $49! When it comes to efficiently creating and sending unlimited invoices, there’s only one program that you can trust to fulfill all your small business’s needs. 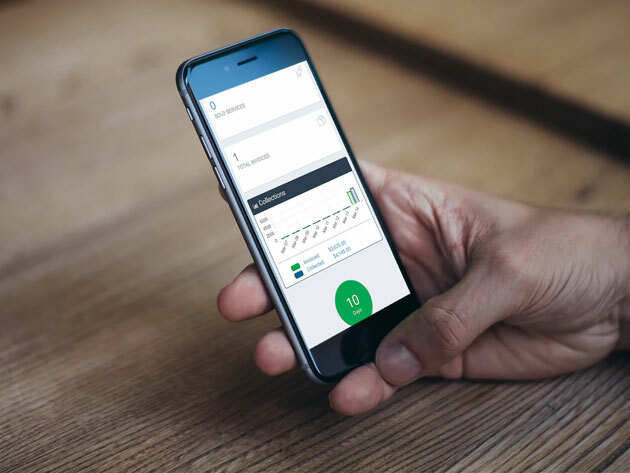 Invoice Quickly Pro is an intuitive online invoicing tool that provides a easy-to-navigate platform with powerful features. With this program, you can draft invoices, send it to your customers with customizable emails, and set reminders for upcoming deadlines. There’s no need for the old methods of invoicing. Invoice Quickly Pro can be accessed from any device, anywhere in the world. You’ll be able to easily handle payment options and customer refunds directly from your smartphone. Plus, the app provides customer insights to help grow your business. Get started today on a lifetime subscription to Invoice Quickly Pro for just $49. That’s 90% off the original price!